How much tea do I need? Technically “tea” refers to Camellia sinensis — the same evergreen shrub that gives us rich black teas, tightly rolled oolongs and delicate white teas — but we like to think of tea as pretty much anything that can be infused in water. The possibilities are endless (and delicious). 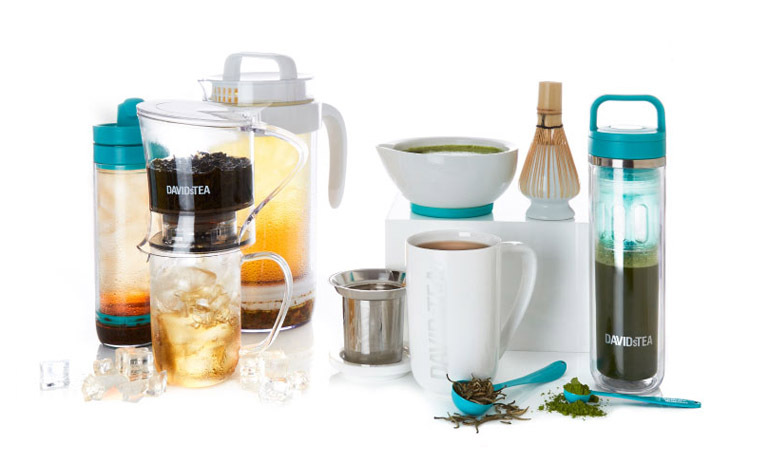 Fun, delicious and packed with benefits, each tea type is its own little world. Healthy, energizing and delicious, green tea is the most popular drink on the planet — after water. 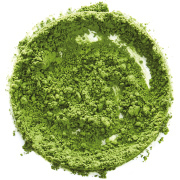 Energizing matcha is made by finely grinding full tea leaves, so you get all the benefits of green tea with every sip. 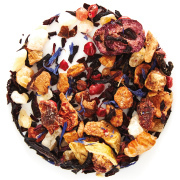 Our range of caffeine-free fruit and herbal infusions has everything from classic tisanes to the latest superfruits. 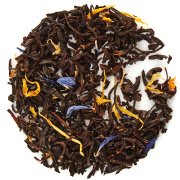 Black tea is rich, energizing and full-bodied. 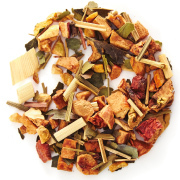 We love both traditional pure teas and exciting new blends. 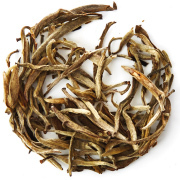 Loved for its light flavour and sweetness, this delicate tea is as close to the living tea bush as you can get. 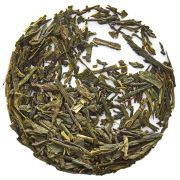 Oolong tea is somewhere between green and black tea. Watch the tightly rolled leaves slowly unfurl in your cup! 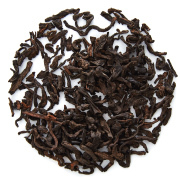 Traditionally made by aging tea leaves in mountain caves, earthy pu’erh is thought to boost metabolism and aid digestion. We love energizing herbs like yerba mate, guayusa and yaupon for the long-lasting, jitter-free boost they give us. 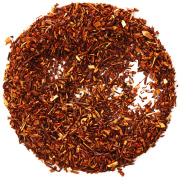 Made from a small South African shrub, mineral-packed rooibos is naturally sweet, hydrating and caffeine-free. From ancient wellness to modern medicine, tea has been celebrated for its health benefits for centuries. It’s hydrating, energizing and packed with antioxidants. It may help detoxify and boost brain function, mindfulness and immunity. It can speed up your metabolism or help you slow down at the end of a stressful day. And with blends this tasty, what do you have to lose? Ready to hit reset? Whether you over-indulged last night or just want to reboot, there’s nothing like the cleansing power of tea to get you feeling like a million bucks. When you’re feeling sick, there’s nothing more comforting than a hot cup of tea. Packed with soothing ingredients and traditional remedies, these blends will make that cold more bearable. Need a good night’s sleep? Wind down before bed with our wide range of traditional and not-so-traditional fruit and herbal infusions. Studying for an exam or prepping a big presentation? Fire up those neurons with a brain-boosting blend. Ready for lift-off? Start your day off right with a healthy boost of energy and alertness — without the jitters or the caffeine slump. Tummy troubles? We’ve got you covered. From after-dinner pick-me-ups to stomach-soothing tonics, these teas are the ultimate digestifs. Get your glow back with hydrating teas starring ancient skin-savers and beauty-boosting complexion superfoods. Ready to get started? Here’s what you need to know. 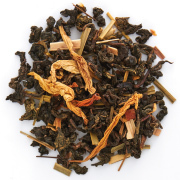 Our teas are sold by weight, with 100 g (4 oz) making an average of 30-40 cups. So if you’re making one cup per day, it’ll last you about a month. There are a few basic steps to follow. We recommend 1-2 Perfect Spoonfuls per tea as a general rule of thumb. Some of our teas call for cooler water, so the leaves don’t burn and become bitter. An easy trick is to let your kettle sit for a few minutes before pouring. Different teas call for different steep times. While some can turn bitter after more than a few minutes, most herbals and maté blends can infuse all day. Not sure how to make loose leaf tea at home? Get to know our favourite tea-making tools. But most importantly… don’t be afraid to break the rules! At the end of the day, tea should make you happy. The only “right” way to drink it is however you like it best. Scoop any tea into the filter. Pull drawstring tight to close the top. Place it in your mug, add hot water and steep. Enjoy! Place the infuser in your mug and scoop in any loose leaf tea. Add hot water, cover with the lid and let it steep. Use the lid as a saucer for your infuser. Cheers! Place tea leaves directly inside the Steeper. Pour hot water over tea leaves and steep as usual. Put the Steeper on top of your cup and watch the tea magically pour out. Scoop in any matcha and add hot water. Close lid securely then shake until it's nice and frothy (10-20 seconds). Press the button to release the pressure. Enjoy!